The blue corduroy jackets sported by high schoolers in FFA have been a part of the group's brand since its founding in 1928. “We’re in an urban area, so most of our members do not grow up on property, though they still have that connection to agriculture,” said Reece Melton, 18, president of the St. Vrain Valley FFA chapter. St. Vrain Valley FFA adviser Lauren Hart holds up a jacket from the district's first FFA chapter, founded in the early 1930s when Longmont, Colo. served as an agricultural community. 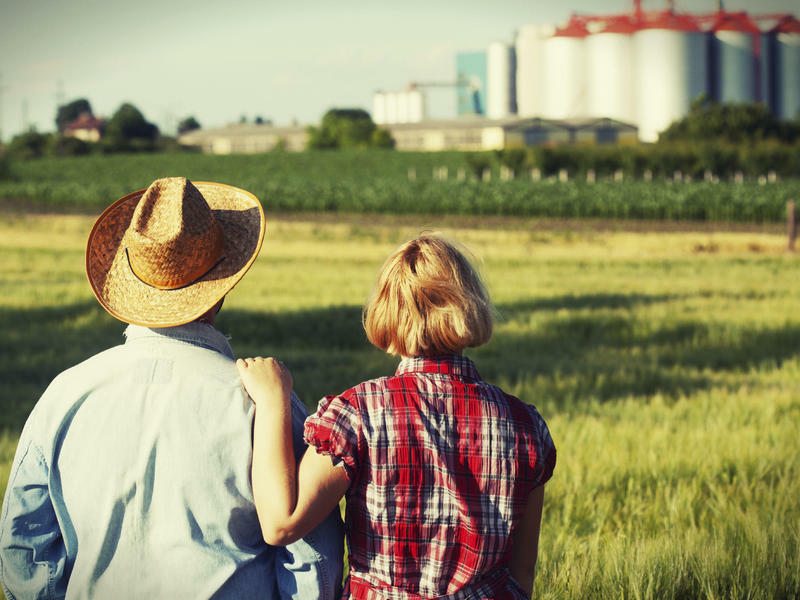 From 2007 to 2012 the U.S. lost almost 100,000 farms, according to recent census data. While during the same period FFA enrolled an additional 60,000 students, and opened new chapters, bringing the organization to its highest number of students in its almost century-old history, just shy of 580,000. That’s a lot of blue corduroy jackets. 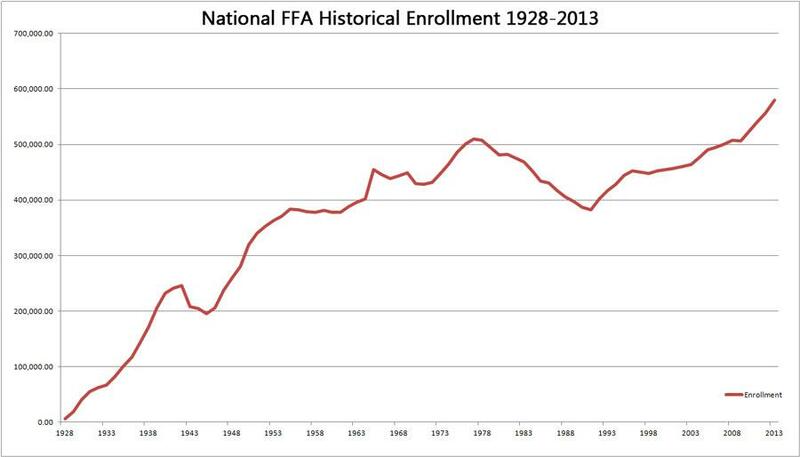 FFA enrollment took a dive after the 1980s farm crisis, but has since seen a resurgence. Those involved with FFA tout the record enrollment as a testament to the organization’s nimbleness in the face of an increasingly urbanized society. “The perception is that FFA is plows, cows and sows,” said Dwight Armstrong, National FFA Organization CEO. Instead of spending classroom time solely devoted to agrarian topics, chapters and school districts are choosing a more diverse curriculum. And the changing focus appears to be working. Inner city chapters in places like Chicago, Philadelphia and New York are some of the fastest growing in the country. “Now we talk about not vocational agriculture, but the science of agriculture and the science of food,” Armstrong said. That’s evident in agriculture instructor Lauren Hart’s classroom in Longmont, Colo. It looks out onto the St. Vrain Valley School District’s working farm, where students get hands-on learning with cows, chickens and pigs. "It's always been blue corduroy, same emblem and everything." Move inside the classroom walls and lessons include law, policy, entrepreneurship and bookkeeping, all with an agricultural touch. When she’s planning a curriculum [.pdf], Hart said she tries to reach further into areas you wouldn’t typically associate with farming. Since she’s been teaching agriculture for eight years and was part of a Colorado FFA chapter when she was in high school. In that time, Hart said she’s noticed a shift. A greater number of students are interested in contemporary food trends, wanting to know more about organic foods and cage-free, grass-fed meat. Hart said she can’t just ignore what students want to learn about. The millennial generation is one step removed from the farm and their interests are different notes Kenton Ochsner, Colorado’s FFA advisor. That’s why many school districts and their affiliated FFA chapters are going to great lengths to make agriculture appeal to more students. “Now, it’s the hot topic. And parents in town want their sons and daughters to feel the land and to feel soil between their hands and to have an understanding of where their food comes from,” Ochsner said. The pitch worked on 18-year-old Reece Melton, St. Vrain Valley FFA president. While his family has agricultural roots, he grew up in nearby Erie, Colo. Being one generation away from the farm is a common theme among the 60 other students in his chapter. 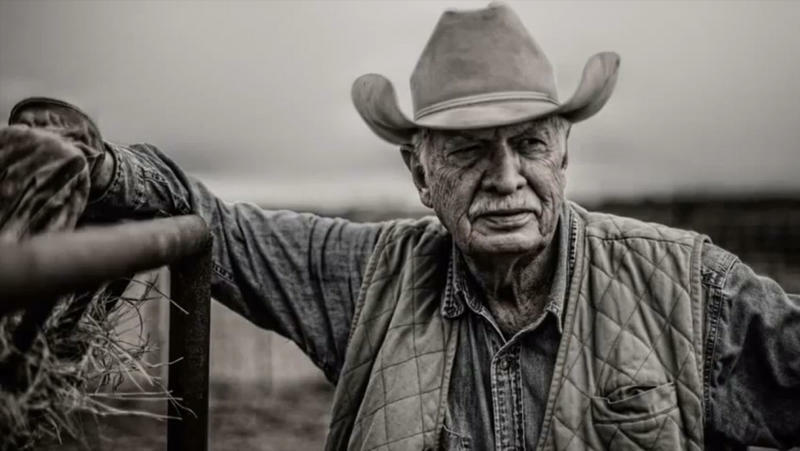 “We’re in an urban area, so most of our members do not grow up on property, though they still have that connection to agriculture,” Melton said. 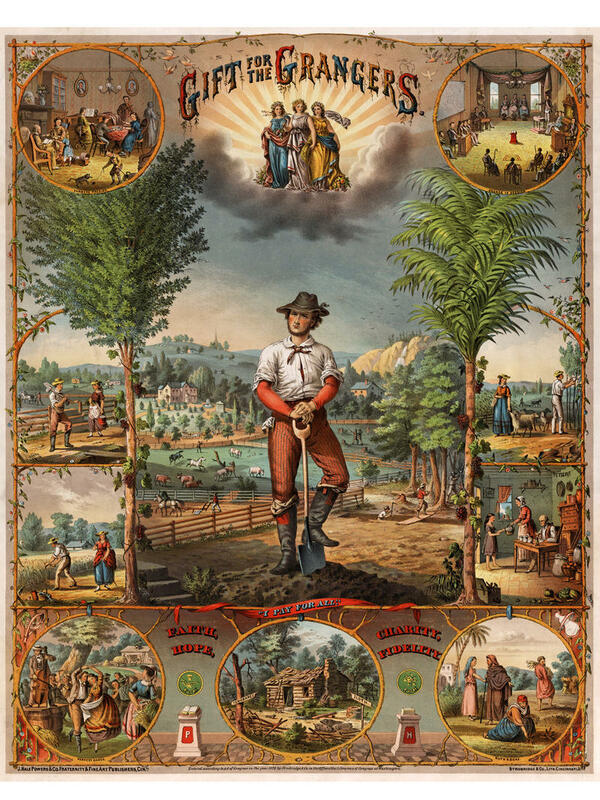 Other historically rural organizations have struggled with dramatic social change over the decades. Even though FFA is enjoying a resurgence after the 1980s farm crisis, it’s still felt some growing pains as it figures out what students actually want to learn about and what’s still relevant. A group like FFA brings in new blood on a yearly basis. Most active members are younger than 22 years old. That youthful energy gives FFA an edge over other rural, farm-related organizations, said Mike Martin, who studies agricultural education programs at Colorado State University. “There are success stories and then there are maybe not so successful stories, and I don’t want to call it failure, but it’s sort of a struggle to adapt,” Martin said. It’s about finding an appropriate balance between new ideas and old traditions. The most visible tradition in FFA is the blue corduroy jacket, a symbol of pride for students who spend enough time in the organization to earn one. It’s an enduring tradition as well, never changing through the years said Samuel Johnson, St. Vrain Valley FFA treasurer. “It’s always been blue corduroy, same emblem and everything,” Johnson said. A static symbol of tradition in an organization that’s been forced to adapt to stay relevant. Lots of passionate people are taking up farming these days, motivated by frustration with industrial farming, concerns about the environment, and a desire to build community and local food markets. Some of these new farmers have joined the Grange, a long-established fraternal organization for farmers with roots in social activism. In Oregon, Granges dominated by this new generation have banded together in a coalition dubbed "Green Granges," which work together to advance the issues they care about.